Monday, February, 03, 2014, WebHostUK, a leading provider of Shared Hosting, Reseller Hosting, VPS Hosting, SSD Cloud Hosting and Dedicated Servers in UK launched secured and fast Joomla Hosting Plan. Joomla is the 2nd most popular content management system (CMS) for publishing web content after WordPress. It includes long list of features such as page caching, RSS feeds, printable versions of pages, news flashes, blogs, polls, search and many more. 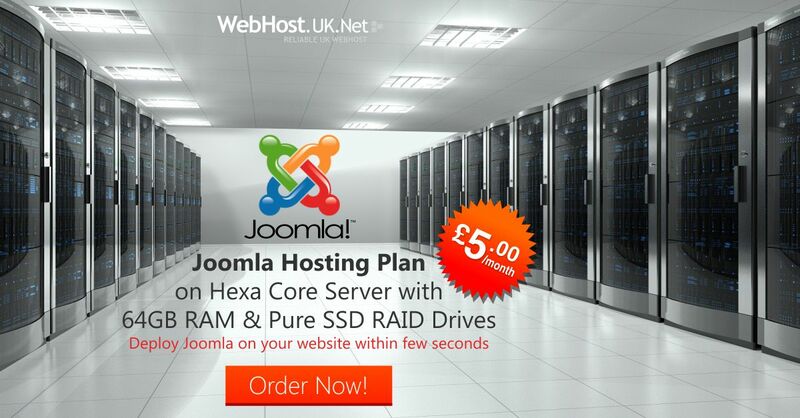 WebHostUK’s Joomla Plans will be hosted on secured and optimized Hexa Core Servers with 64GB RAM and Pure SSD Drives which will be monitored by system administrators round the clock to deliver best server performance. The high configuration server with Pure SSD Drives will deliver faster database and web content response time. T he Joomla Hosting Plan will get the customers up and running on the same day. With this launch, WebhostUK looks forward to outperform its Joomla hosting competitors. WebHostUK’s Joomla Hosting Plan is available just for £5.00 GBP per month and as a promotional offer customers get 10% Discount on annual billing cycle by using JOOMLA10 coupon code. WebHostUK offers lightening fast live chat and email support 24x7x365 days and monitors server non-stop. WebhostUK also offers 99.9% uptime and 30 day money back guarantee on its Joomla Hosting Plan. 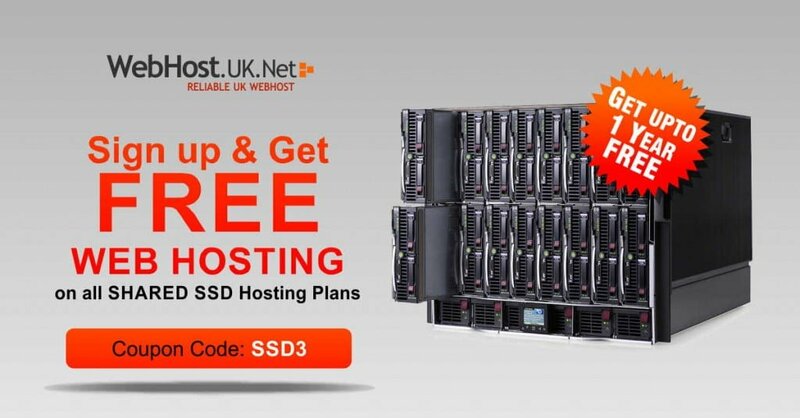 WebHostUK is a leading UK Web Hosting Provider since 2004 that offers extensive range of services such as Domain Name Registrations, Shared hosting plans, Reseller hosting plans, Ecommerce Business Hosting, Managed Cloud VPS Servers, Managed Dedicated Servers, & SSL certificates along with lightening fast 24/7 technical support.